And if you were to ask her peers what comes to mind first when they think of Dayle, they would tell you in no uncertain terms that she is a brilliant attorney who provides devoted service to her clients. “Dayle is a tireless advocate for her clients and has earned her reputation as not only one of the top employment attorneys in Minnesota, but also one of the top lawyers – period,” her colleague Chris Harristhal said. Dayle’s law practice is her second career. She started her professional work in cancer research in immunology at the University of Minnesota. But at age 31, she left and went to law school. She was recruited by Larkin Hoffman to establish a labor and employment practice at the firm 31 years ago, after first practicing for seven years at another firm. Along the way, Dayle helped to shape the direction of Minnesota employment law, particularly as it relates to civil rights. She did this through her trial and appellate practice as well as client counseling. Dayle has provided sexual harassment training to thousands of employees and advised hundreds of clients on how to comply with what was, in the 1980’s, a novel, and largely misunderstood area of law – sexual harassment. 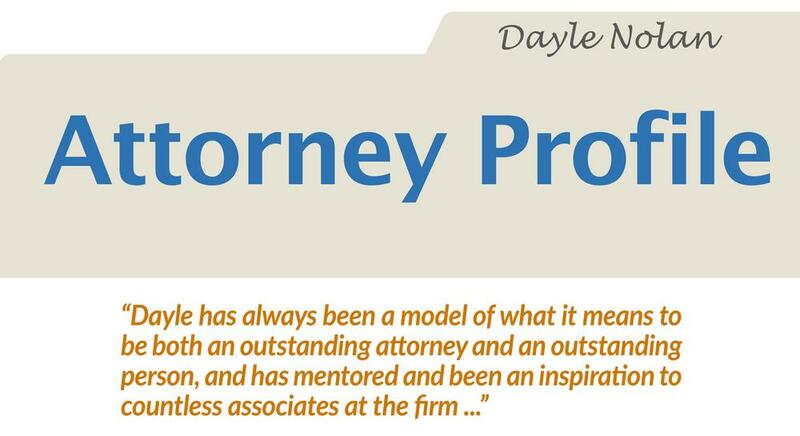 In addition to her reputation as a great attorney and a pioneer in her field, Dayle is also known for her service within the firm. She has spent many years on legal development committees and is currently the chair of Larkin Hoffman’s diversity committee. She has always been and is still a mentor for the firm’s young attorneys.